Delhi University will begin the admissions for the undergraduate and postgraduate courses from the first week of May. However, the admission process has been delayed of around 15 days than the previous date decided for registrations. As per the reports of the leading news portal, the admission process will begin from 1st May 2019. Delhi University has delayed the admission process as varsity’s admission committee is still working on the changes required for the admissions to undergraduate and postgraduate courses. 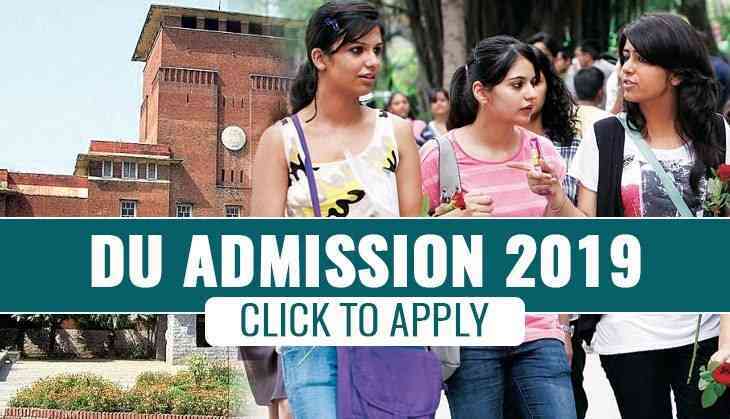 Earlier, Delhi University has announced to start the admission process from 15th April and will conclude the process on 7th May 2019. Now, dates have been extended for the admission process. As soon as the admission committee complete its work over the admission process then only the admission process would start. Delhi University’s admission committee has announced about some changes that would be introduced from new academic session 2019-20 like starting the ECA and sports quota admission before releasing the cut-off lists and also reducing the marks for a change of stream from 5% to 2%. As per the DU officials, the admission process will be started after CBSE will announce its board exam results. Even DU has taken new initiatives by giving an opportunity for candidates to edit their forms after submission. From this year, DU would conduct the entrance examination through online mode for the admission to all undergraduate courses.